The Ex-HMAS Brisbane Speciality Course familiarizes divers with the history of the HMAS Brisbane, the project to sink it as an artificial reef and the ecology of the marine life that has developed over the years. 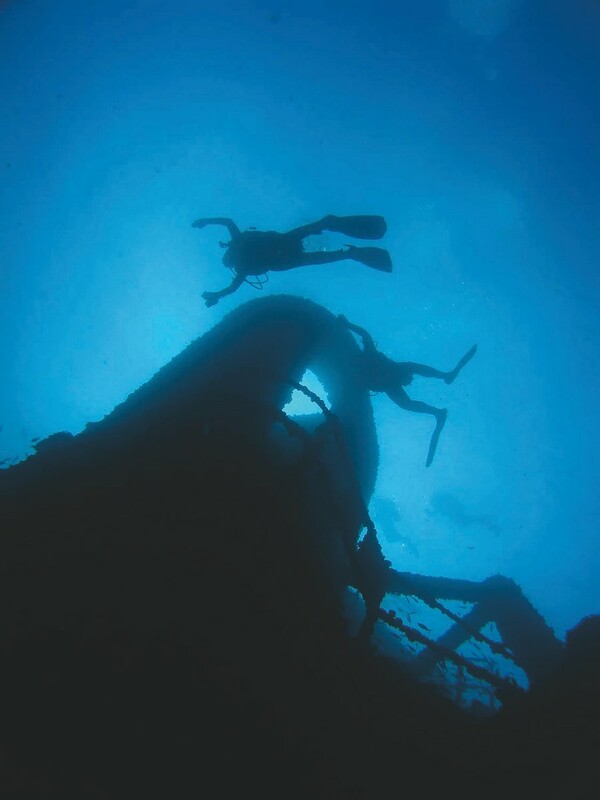 In addition, this course introduces divers to wrecks as artificial reefs and encourages respect for the marine environment. We emphasize fun, safety and awareness. Thriving marine life, pleasant year round diving conditions and ease of access have quickly made former guided missile destroyer, the HMAS Brisbane, one of Australia’s most talked about dive sites. Sunreef Scuba Diving Services runs morning, afternoon and night dives and can supply all gear. Join the growing number of divers from around Queensland, elsewhere in Australia and overseas who can say “I’ve dived the Brisbane”. · 2 dives with tanks and lots of fun!